Whichever middle schooler is the best at the presidential fitness test, becomes an elector. The electors are all on one email chain. They are always trying to coordinate a weekend trip to Beacon, NY. Idaho is always replying all. The Electoral College has a softball team and they are always losing to the superdelegates. The founding fathers were high as hell when they thought of the Electoral College and even the next day they couldn’t really answer questions about it. They’ve developed an office culture where they really love grape flavored Canada Dry. An estimated 50 electors don’t know they’re electors. They have an Arcade Fire cover band. Their favorite color is green. They have their own dating app, but it’s invite only and no one understand how it works. If you’re a member of the Electoral College you get into MOMA for free. The meeting of the electors takes place on the first Monday after the second Wednesday in December after the presidential election. This one is true!!! 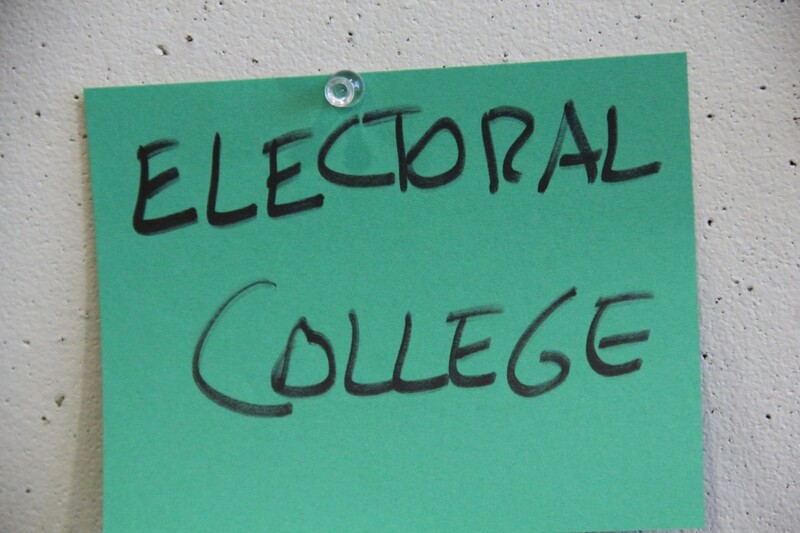 The Electoral College is selected by the Selectoral College. Their parents are proud of them. There’s actually no constitutional rule that says a golden retriever cannot be a member of the Electoral College. Their holiday party keeps getting moved to a smaller and smaller bar each year and everyone is really riled about it. Jason Adam Katzenstein is a New Yorker cartoonist. Blythe Roberson is a contributor to The Onion, ClickHole, and The New Yorker.